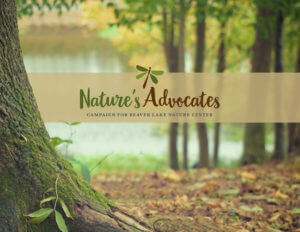 Become a Nature’s Advocate today! The Friends of Beaver Lake believe that exhibits inside the Visitor Center will reinforce the experience our visitors have outside on the trails. We believe that these exhibits will engage our community to have a deeper appreciation for, and richer experience with nature. The Friends of Beaver Lake Nature Center have commissioned a design firm to create interactive exhibits, utilizing a variety of methods and learning styles to reach people from different backgrounds, ages, and with different learning needs. These enhancements include floor to ceiling graphics, multisensory stations that illuminate exciting facts about the wildlife and plant life at the nature center, as well as a life size beaver lodge for children to crawl through. How would you like the gift acknowledgment to appear? 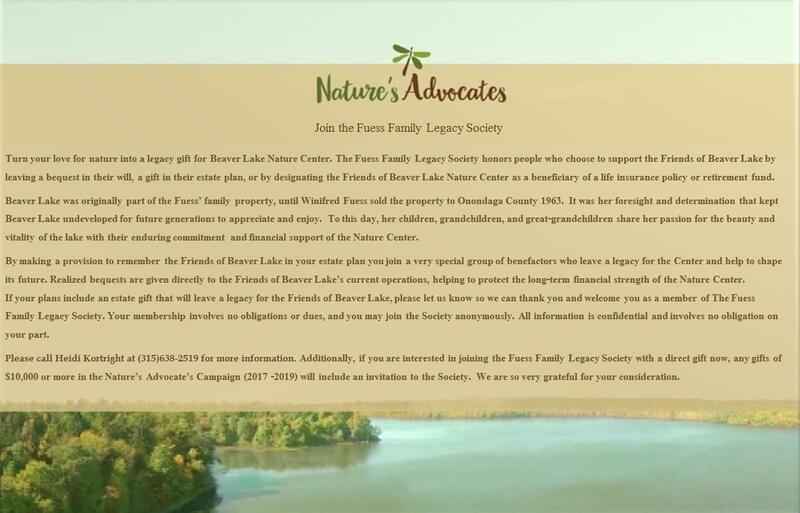 The Nature’s Advocates Campaign is an initiative of Friends of Beaver Lake Nature Center for the benefits of Beaver Lake Nature Center.